The bark on each tree in the forest of Algonquin Provincial Park in Ontario, Canada becomes more prominent as the Autumn leaves begin to change and fall. 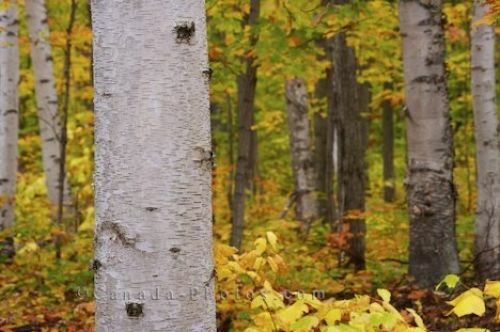 The bark on each tree begins to take on a slightly different appearance as Autumn fills the forest in Algonquin Provincial Park in Ontario, Canada. The bark on this tree is still in place, while some of the other trees have been stripped of their bark as the trees begin to drop their leaves and prepare for the cold winter months which lay ahead. Picture of the bark on a tree in the forest enroute to Rock Lake in Algonquin Provincial Park in Ontario, Canada.